While most people associate divorce with the emotional trauma that so often goes along with ending a marriage, few realize the financial repercussions that such a legal action can have on the couple involved until it is too late. Fortunately, there are steps that couples can take after divorce to bounce back from the toll that dissolving a marriage can take on the finances of both parties. For help ensuring that your own financial situation is protected upon divorce, please contact an experienced Fort Lauderdale divorce lawyer who can assist and advise you. One of the best ways to minimize the negative impact of divorce on your finances is to review your financial situation beforehand. This process should include tallying up assets and liabilities and accounting for child support, alimony payments, income, and expenses. Taking this step can help in the creation of a budget, which can in turn, help divorced couples ensure that their bills and expenses are covered. Once a couple has conducted a financial inventory, they can start working on a budget. If, based on their income and expenses, the parties find that they are not able to cover their bills, they should start to look for ways to reduce those costs or increase their income. This could include cutting back on discretionary spending, such as purchasing expensive meals or new clothing, while focusing on building an emergency fund or savings account. The sooner these tasks are complete, the better off the parties’ financial situation will be going forward. Experts also encourage newly divorced couples to set small financial goals when creating their budget. For instance, rather than focusing on paying off an entire credit card balance, newly divorced parties should try to set lower goals that can be completed in a short amount of time, such as putting a certain amount in a savings account. Keeping a record of your budget, expenses, and income is also critical to rebounding financially after divorce. In fact, many couples find it helpful to also document all financial progress, such as paying off a certain bill or increasing savings. Recording these efforts can help keep you focused, while also allowing you to track your progress over time. Even when two parties find themselves on the right financial path after divorce, they should not become complacent, but should evolve and change their financial plan. This could include creating a savings account for a child’s college fund, starting a small business, broadening an investment portfolio, or putting a down payment on a home or vehicle. This flexibility will allow the parties to adapt in the event of a sudden financial downturn or upswing. 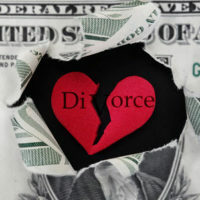 If you are currently going through a divorce and want to ensure that your own finances will remain stable following the dissolution of your marriage, please call dedicated Fort Lauderdale divorce attorney Sandra Bonfiglio, P.A. at 954-945-7591 today for a free consultation.